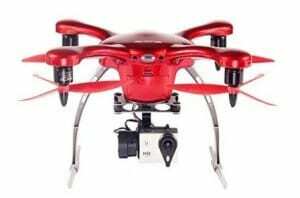 Here are the top drones, gimbals and cameras by Manufacturer. We cover DJI, 3D Robotics, Walkera, Yuneec and Parrot drones. Further down this page you can find drone FPV equipment, gimbals and cameras. DJI are market leaders in the drone industry. 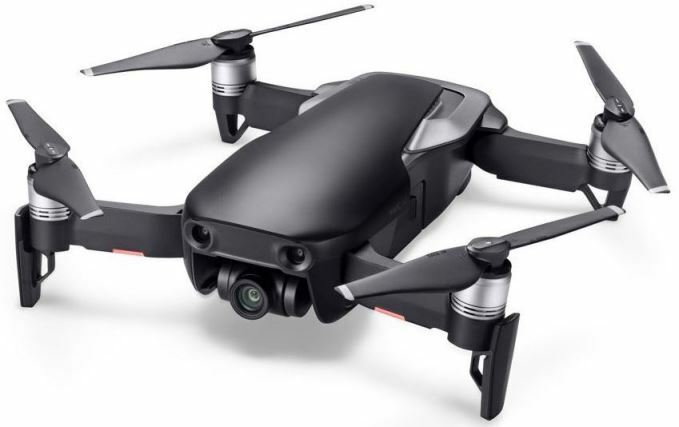 Their latest top drone range drones include the incredible Mavic Pro fold up drone, the professional filming Inspire 2, the adaptable Inspire 1, the fantastic new Phantom 4 Pro, the Matrice 100 for developers drone and the Matrice 600 industrial drone. DJI package their drones almost completely assembled so you will be flying in no time. They have the best flight controllers, FPV equipment and top of the range gimbals to cover a multitude of applications from aerial cinematography, 3D photogrammetry and site surveying. DJI are top innovators and market leaders. DJI have many sales and discounts throughout the year. You can also find many DJI bundle offers from their drones, gimbals and cameras. 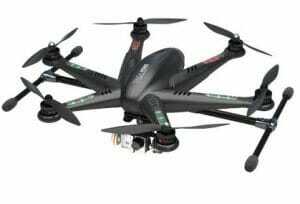 Walkera manufacture real high tech drones at attractive prices. All Walkera Technology drones are packed with patented technology and have beautiful design. Their drone range include the Scout X4, Voyager 3, QR X900, QR X350 Pro, Tali H500 and fast racing drones such as the F210 and Furious 320. Walkera Technology spend big money on research, development and their passion shows in the quality of their drones. They have at least 3 drones with 4k video. The Walkera factory, which is located in Panyu District, Guangzhou City (the center of Pearl River Delta), has 40,000m2 garden-style workshops and more than 1,000 senior engineers and skillful workers. All the items are protected by patent. Walkera export drones and toys to Europe, America, Southeast Asia and all over the world. 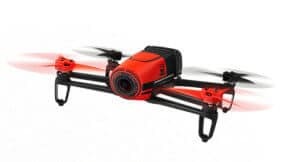 To read Walkera drone reviews and search for Walkera parts, upgrades and accessories click here. This International Hong Hong company has been around since 1999. 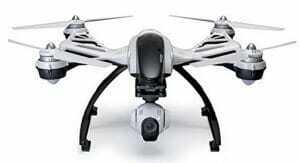 Yuneec manufacture the very popular and high tech Typhoon Q500 and Tornado drone series. You have the Typhoon Q500 4k or the Q500+. There drones come fully integrated with gimbal and camera. The camera is detachable and included with your Q500 is a handheld gimbal from your camera. Yuneec rate very highly when it comes to customer service which is extremely important. Yuneec International has over 1800 employees located in Hong Kong, Shanghai, Los Angeles and Hamburg. Yuneec International manufactures over 1 million units a year, sold under OEM/ODM brands as well as the Typhoon brand of multi-copters. To read Yuneec drone reviews and search for Yuneec parts, upgrades and accessories read click here. Parrot drones are fast, robust and very acrobatic. Their latest drone in the attractive and nifty Parrot Bebop with its fisheye camera. The Parrot AR 2.0 has brought drones to the masses and is still extremely popular today. It’s easy to buy parts and upgrades for Parrot drones. These drones are real fun. The photo is the Parrot Bebop drone. Parrot is more than a UAV manufacturer. Founded in 1994 by Henri Seydoux, Parrot creates, develops and markets advanced consumer technology products for Smartphones and tablets. Parrot also offers the most extensive range of hands-free communication systems on the market for cars. Its globally recognized expertise in the fields of mobile connectivity and multimedia around Smartphones has positioned Parrot as a key player of in-car infotainment. To read Parrot drone reviews and search for Parrot parts, upgrades and accessories click here. The Ghost is definitely one of the easiest drones to fly. It is perfect for beginners. But even advanced drone owners also love this drone. You control this drone with a smartphone app through simple one-click commands. With a GoPro Hero 4 camera, you will be flying in just a few minutes. You have some tremendous technology inbuilt including auto-follow mode which keeps the camera on you. 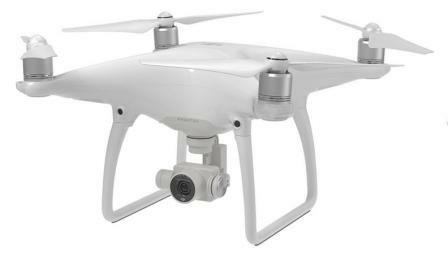 This is a very affordable drone which also takes great aerial footage. They have 2 models which are a basic and an advanced verysion. Ghost was created to be the first truly smartphone APP operated intelligent robot which can by widely used in geographical information surveying, professional television aerial filming, roadshow displaying, disaster rescuing& delivery, surveillance and monitoring or even can be expected to play important role in the future logistics areas. Ehang Technology is a technology enterprise founded by makers from China, America and Singapore who are enthusiastic about drone flying. Our core members graduated from Tsinghua University, Peking University and Duke University in America. Ehang Team has over 15 years’ experience in R&D and production in airplane and aircraft field. With the combination of software and hardware techniques, we self-developed the communication and real-time viewing hardware and the smartphone operation system. View Ghost drones here. View the full fange of FPV Equipment on Amazon. Flying with FPV is a real buzz and a terrific flying experience. There is a vast range of FPV equipment for drones out there. I have the FPV separated into transmitters, receivers, monitors, goggles and fpv kits. View top FPV equipment in our Drone Store. 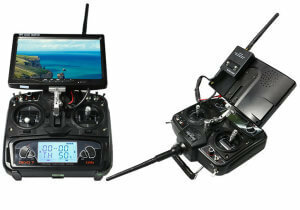 You can read further and delve into the world of FPV on the following articles. Top of the range Zenmuse gimbals direct from the DJI online store. Aerial gimbals keep your camera secured to the drone while the stabilization technology allows you to capture the smoothest of aerial photos, video and 3d mapping. A quality gimbal is essential. DJI is famous for its gimbal technology. Zenmuse gimbals are ultra stable allowing you to reach new heights in stabilized aerial photo and video. DJI’s Zenmuse gimbal technology is perhaps the most trusted among filmmakers worldwide when it comes to aerial camera stabilization. They own many patents on sensors, advanced algorithms, and custom-built gimbal motors give you unmatched stability and reliability in the air. View top of the range Zenmuse Gimbals on the DJI website. While DJI are perhaps the market leaders in drone innovation and gimbal innovation, they manufacture their gimbals for their own UAVs. However, there are many other terrific manufacturers of aerial gimbals. This include 3DR, Walkera, Boscam and Andoer to mention an few. 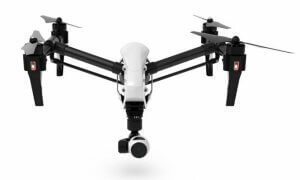 View the various drone gimbals from different manufacturers. The GoPro Hero camera is the perfect companion for most drones on the market. You will never have a problem finding accessories and filters for the GoPro. Any decent drone on the market today is adaptable for this camera. Some of the most beautiful aerial videos of terrific scenery online have been filmed using the terrific combination of Phantom 2 drone and GoPro camera. If you are looking at buying the professional DJI Spreading Wings S1000 multirotor, then you need the Zenmuse H4-3D gimbal. GoPro are also looking at creating their own line of Drones. Perhaps we might see the 1st GoPro drone later this year. 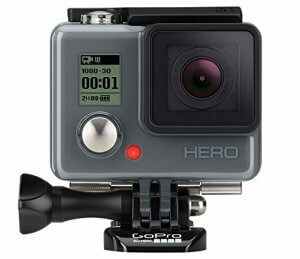 View this large selection of GoPro cameras. Canon SX260 for the 3DRobotics X8-M Multirotor. The 3DR X8-M multirotor drone is high tech, versatile and designed for aerial mapping. Using drone waypoints, you can take aerial photos to create quality 3D maps. The X8-M multirotor allows you to do this autonomously. Program in the waypoints and the X8-M will take off, fly the planned route and land again. It’s that simple. Great technology. Here is a small bit of information from the camera review website regarding the Canon SX 260. Complementing the impressive optical zoom, Canon’s new Intelligent IS technology ensures crisp, detailed images and smooth footage in a range of shooting situations. By identifying the scene and subject to be captured, the camera selects the most appropriate IS settings from seven3 modes for steady, blur-free shots. For example, Macro IS is great for capturing those crystal clear close-up shots of exotic plants or insects, whilst Powered IS makes it easier to film distant subjects with the powerful zoom – perfect for recording wildlife on safari. 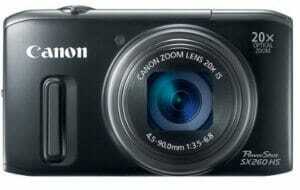 View specifications and prices for the Canon SX 260. The Canon EOS 5D Mark iii is for the DJI Spreading Wings S1000+ professional multirotor drone. 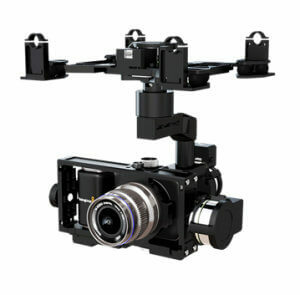 To fit this camera onto the S1000+ you need the Zenmuse Z15-5D gimbal. The Spreading Wings S1000+ is a very versatile drone which can carry heavy payloads allowing you to capture expert aerial photos and video. This camera receives a score of 82$% on camera review website dpreview. Read the full Canon EOS 5D Mark iii review. Here is a snippet of one of the latest reviews. The camera has been improved over its predecessor in most areas and comes with a 22MP full-frame sensor, 6 frames per second continuous shooting, and 1080p video at 24, 25 or 30 fps, offering the high quality intra-frame (All-I) compression method and greater audio control. 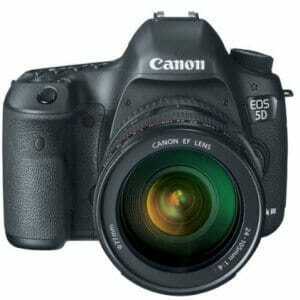 Read more on the Canon EOS 5D Mark III. The Fantastic Panasonic LUMIX DMC-GH4 is for the DJI Spreading Wings S1000 Plus multirotor drone. The correct gimbal is the Zenmuse Z15-GH4 (HD). The Panasonic Lumix is a terrific camera. With the Z15-GH4 gimbal and the S1000+ multirotor from DJI, you really have a quality aerial system. The Panasonic GH4 offers incredibly-high quality video features, in a reasonably small-sized and well-priced camera body. It features a 16MP Digital Live MOS Micro Four Thirds sensor with 4k video capture in 24p and full HD capture in up to 60p. 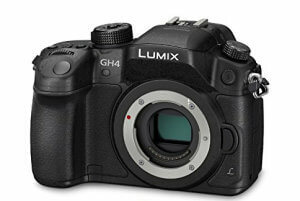 The top website for camera reviews gives the Lumix DMC-GH4 a gold award. Read more on the Lumix DMC-GH4. The specifications of the NEX-7 from Sony is like it comes with professional photographer’s wishlist. This is a serious camera and without doubt you will capture magnificent photos and film with this. Read the full review on dpreview. The DJI Spreading Wings S1000 drone has a special gimbal so that you can attach the Sony NEX-7. 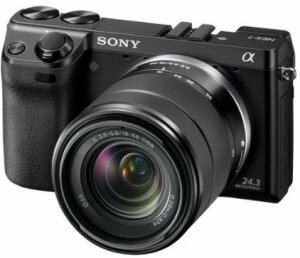 The Zenmuse Z15 supports two types of camera, which are the Sony Nex5/7 and Panasonic GH2. DJI have now opened 4 stores and there are a couple of places in NYC. Here is the DJI store locator page. When a DJI shop opens, it certainly is a massive event. Here is a terrific video which shows you around one the DJI flagship store.